It might be a hollow victory but it's a victory nonetheless for relatives of victims of the Sept. 11 terror attacks. 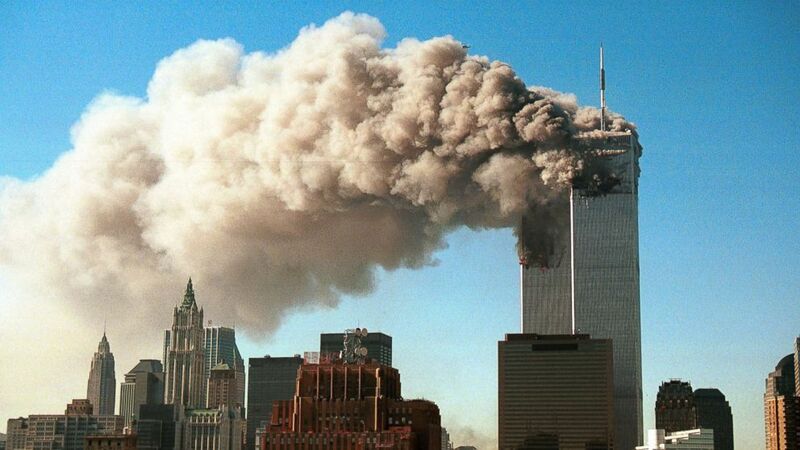 A federal judge in New York on Tuesday ordered Iran to pay billions of dollars to parents, spouses, siblings and children of more than 1,000 9/11 victims, court documents obtained by ABC News show. The default judgment issued by Judge George B. Daniels finds the Islamic Republic of Iran, the Islamic Revolutionary Guard Corps and the Central Bank of the Islamic Republic of Iran are liable for the deaths of 1,008 people whose families sued. The lawsuit, which was first filed in 2004 and allowed to go forward in 2016 after Congress passed Justice Against Sponsors of Terrorism Act to open sovereign states accused of terrorism to liability, alleged Iran provided assistance, including training, to the 9/11 hijackers even though the 9/11 Commission found no direct evidence of Iranian support. (Robert Giroux/Getty Images) Smoke pours from the twin towers of the World Trade Center after they were hit by two hijacked airliners in a terrorist attack Sept. 11, 2001 in New York. The judge set damage awards according to the following scale: $12.5 million per spouse, $8.5 million per parent, $8.5 million per child and $4.25 million per sibling. The plaintiffs may apply for punitive damages at a later date, the judge’s order said. “In December 2011, a New York federal court held a hearing and found that the evidence presented established that Iran’s provision of material support to al-Qaeda was a cause of the 9/11 attacks and the resulting damage, injuries, and deaths,” said attorney Robert Haefele of Motley Rice LLC, who represents the plaintiffs. However, the judgment is largely symbolic. Iran has never responded to the lawsuit and is unlikely to ever pay. The order does make the families eligible to collect from a small fund of seized Iranian assets that has been used in the past to compensate families of victims of Hezbollah attacks and other violence attributed to Iran. The judgment is part of the larger case the 9/11 families are pursuing against Saudi Arabia. There’s a conference in that case later this month.